Who do I sue if a party other than my non-subscriber employer caused my workplace accident? If your employer is a non-subscriber employer who has opted out of providing workers’ compensation benefits, you must prove your employer’s negligence in order to receive compensation for your injuries. In some accidents, your injuries could have been caused in whole or in part by a party other than your employer. Who is responsible for compensating you in this situation? When Could Your Injuries at Work Be Caused by a Third Party? Another driver negligently causes a car crash when you are driving between job sites or doing a work-related errand. A defective piece of machinery was the cause of your workplace accident. You are a cable company employee who suffers a shock when you come in contact with an exposed wire at an apartment complex where you are installing cable access. You are exposed to a toxic substance like asbestos at work. A co-worker, customer, or salesperson assaults you. Who Do You Sue If a Third Party Caused Your Workplace Injuries? In Texas, if you work for a non-subscriber employer, you can only pursue a claim against your employer if you can show that your employer’s negligence at least in part caused your injuries. When your employer is not at fault, you would need to sue the third party whose negligence caused your accident, such as a negligent driver who causes your crash, a manufacturer of a defective part, or a co-worker who assaulted you. 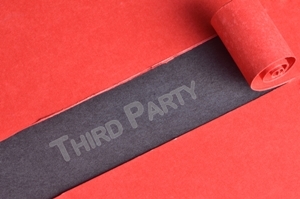 What should you do if your employer and a third party were both responsible for your accident? In this scenario, you would want to sue your employer and the negligent third party. By pursuing your claim against all potentially liable parties, you increase the likelihood that you will be fully compensated for your injuries. If you were injured in a workplace accident and your employer opted out of providing workers’ comp benefits, the workplace accident legal team at the Hart Law Firm is here to help you obtain the compensation you deserve. Call us at (817) 380-4888 today to schedule your free, no-obligation consultation.